Glory, glory, all glory to you, O sanctifier of the world glory to you, O Ganga, the sacred river of the gods. Victory to you, O dweller among Shiva’s locks! Your bouncing and rippling waves (as you descend from the high Himalayas) are incomparably beautiful. 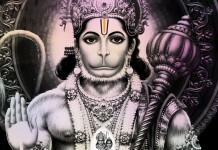 Glory, all glory to you, O destroyer of all accumulated sins and delight of your devotees. 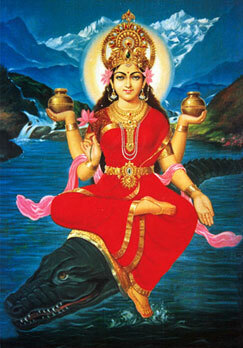 O Mother Ganga, you are the queen consort among the sacred streams of the world. Glory to you, O Bhagirathi; glory to you, O stream of the gods and nourisher of the world; you are renowned as the extirpator of the very roots of all defilements of this Kali age. Glory, all glory to you, O Jahnavi, destroyer of sins, you are the mother of Bhishma and source of nourishment to the world. Your beautiful body is as fair and delicate as the petals of white lotuses, beholding which the beauty of a hundred autumn moons is abashed. Your vehicle, the immaculate and sacred crocodile, looks elegant and he who beholds the urn filled with ambrosia in your hand is at once spellbound. The gold ornaments you are wearing are all studded with precious gems and the diamond necklace on your bosom is absolutely spotless (without any trace of impurity). Glory to you, O purifier of the world and destroyer of sins; your flowing, leaping waves are so alluring. Ganesha, Lord of Shiva’s henchmen, is said to be foremost among all the adorable gods, but bathing in the Ganga takes precedence over him. O Goddess, you dwell in Brahma’s kamandala, the pot made of earth or wood which he carries; but you came down to worship the lotus feet of Vishnu, the feet that bestow happiness on all. You absolved all the sixty thousand sons of Sagara of their sins and made Gangasagara, a place of pilgrimage. He who beholds the sacred scenic beauty of Haridwara is filled with an upsurge of mysterious and pleasurable sensations (It is your sanctifying power that had turned so many cities situated on your banks into places of pilgrimage.) Among the cities sanctified by you is Prayaga, the foremost of all holy places and its immortal banyan tree, the Akshayavata; similarly when you adopted a new course (and changed sides) Kashi became another holy place. Blessed, all blessed are you, O stream of gods, you are a leader to heaven and the redeemer of countless generations of our manes. O Bhagirathi, when Bhagiratha performed the most rigorous penance known to the world, Brahma was pleased to bless him with the celestial stream. O nourisher of the world, when loud thundered your crashing torrent, you entered Shambhu’s locks and, O great empress, you remained invisible there for a year. When again Bhagiratha meditated on Shambhu, he received a drop of your holy water from his locks. That holy drop, O Mother, swelled into three streams- one flowing in this world of the mortals another in that of the celestials and the third in the nether world. The one flowing in the nether world is called Prabhavati; another flowing through the gorgeous heavens is known as Mandakini. In this world of mortals the third stream became the beauteous Jahnavi, who does away with the defilements of the Kali age and who mysteriously sanctifies the whole world. Blessed and abundantly illustrious are you, O Mother, the very pivot of righteousness and an axe to destroy the defilements of the Kali age. Blessed, all blessed are all the three streams- Prabhavati, Mandakini and the divine river Ganga- which dispel all dread. He who sips the holy water of Ganga in all its unpolluted (elemental) purity is rewarded with increasing success in all his endeavors and with the fulfillment of all his desires. But only with the fruition of the virtuous deeds done in the previous birth can one turn one’s mind to Ganga. As soon as a person steps out towards the holy river (to bathe in it, to sip its liberating potion or to worship it), he is rewarded with the fruit of a hrose-sacrifice. Your name delivered even the most damned and fallen of men whom none else could ever liberate. Even those who remember you from a distance of a hundred yojanas- a yojana being equal to nine miles- doubtless obtain a place in the realm of Lord Vishnu. As soon as one repeats your name, one is absolved of countless sins and is blessed with the radiance of unsullied knowledge, valiance and wit. Just as the original source of all affluence is religious observance and charity, so is a drink of holy water taken from Ganga the very source of dharma, righteousness. Tribulations flee and homes are filled with the radiance of affluence and good moral sense when, O Mother, your praises are sung. He who regularly remembers the holy stream and observes the stringent rules of such a worship attains to the status of a noble person even if he is wicked. Even witless dunces acquire the power of knowledge and the sick are cured of all infirmities. 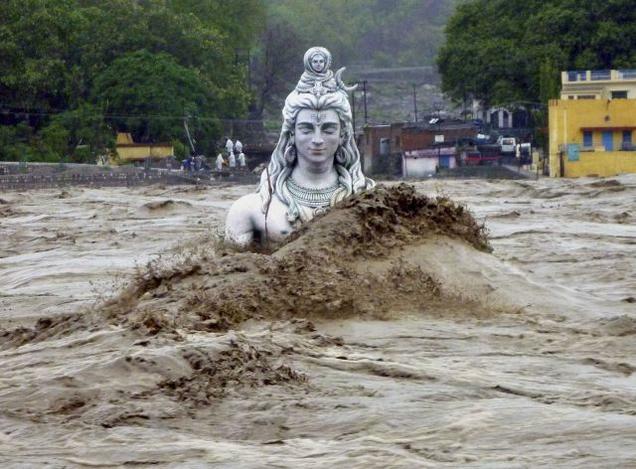 He who chants the name of Ganga never starves nor remains naked. As soon as he utters the name of Ganga, Yama, the god of death, hides his face in embarrassment and flees at once. Ever since you delivered many a great sinner, the doorways to hell have been closed for them. He who repeats your hundred names finds his desires fulfilled and attains to prosperity. Having enjoyed all the blessings of life he attains to the supreme state and is delivered from the cycle of birth and death. Blessed are you, O Mother, the celestial stream, the source of all happiness; blessed, all blessed is the confluence of the three rivers, triveni, at Prayaga, the holiest of the holy. This hymn has been composed by a devotee of Ganga, Sundardasa in the hermitage of the high sage Durvasa, of the village Kakara. He who reads this hymn to Ganga becomes a recipient of uninterrupted devotion and consummate eloquence. Meditation on Ganga yields ever-new happiness and prosperity and an abode in the city of the celestials, o which he is carried in an aerial car after death. In the year 2010 of the Vikrama era on the Ramanavami day in the month of Chaitra, the poet completed this hymn to Ganga for the edification of Hari’s votaries and for none else. According to the Pauran, Ganga was a goddess residing in Heaven, who came down to Earth in the form of river to provide the salvation to the seven generations of ancestors of King Bhagirath(ancestors of Lord Rama). 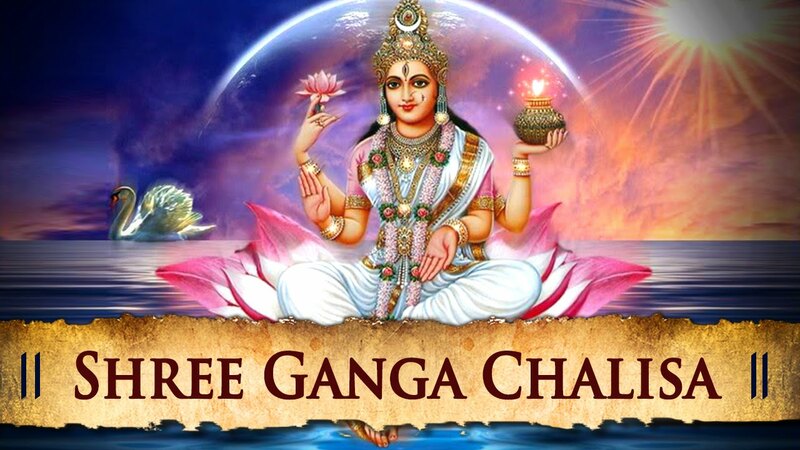 Not only did Ganga come to save King Bhagirath’s ancestors, but she also was sent to Earth as a means of purification for the entire population of human beings.